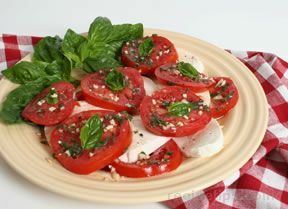 This fresh salad is best with those garden tomatoes, but can be made year-round with the store bought ones. 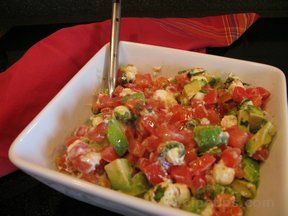 Fresh and light have this salda as a side dish or serve some bread on the side for a light lunch. In a large bowl, whisk the lemon juice, oil, salt and pepper. 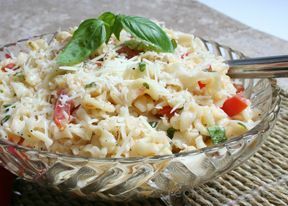 Add the tomatoes, cheese, basil and mint; toss to coat. Cover and refrigerate for at least 1 hour before serving. Just before serving, cut and stir in avocados. "I used goat cheese instead of fresh mozzarella just because they didn't have it at the store. It was still delicious. Next time I might use cucumber in place of the avocado because I am more of a fan of cucumber. Just imagine the flavor with fresh garden cucumbers and tomatoes!"